The Western Pacific Railroad Museum (WPRM), formerly known as the Portola Railroad Museum is part of the Feather River Rail Society and focuses primarily on preserving original equipment of the Western Pacific Railroad, the famed "Feather River Route". It has its earliest roots dating back to the mid-1980s and today features a collection of over 35 locomotives and 80 pieces of rolling stock. The WPRM may not be as large as the nearby California State Railroad Museum, Illinois Railway Museum, or even the Baltimore & Ohio Railroad Museum back east. However, they continue to grow and have become a very fine establishment since the organization was created more than 25 years ago. 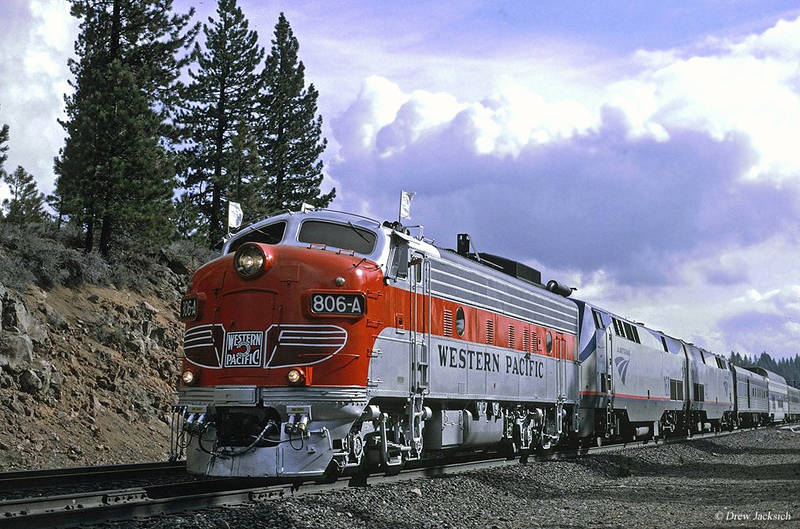 The history of the Western Pacific Railroad Museum begins in 1983 when the Feather River Rail Society was formed to preserve the history of the Western Pacific, which that same year disappeared into the Union Pacific system. A year later the society created the Portola Railroad Museum as a means of having a permanent site to both display their growing collection of equipment and other pieces as well a place where visitors could come to see and learn about the WP. The original museum was named after the town of Portola, which was once a locomotive servicing and maintenance facility for the WP along the eastern edge of its "Feather River Canyon" route in northern California (east of the famous Keddie Wye and "Inside Gateway" route). The facility sits on 37 acres of property (essentially, the entire original yard) and includes a massive 16,000 square foot diesel locomotive maintenance building which has proved an excellent asset for the museum allowing them to perform their own restoration and maintenance work. 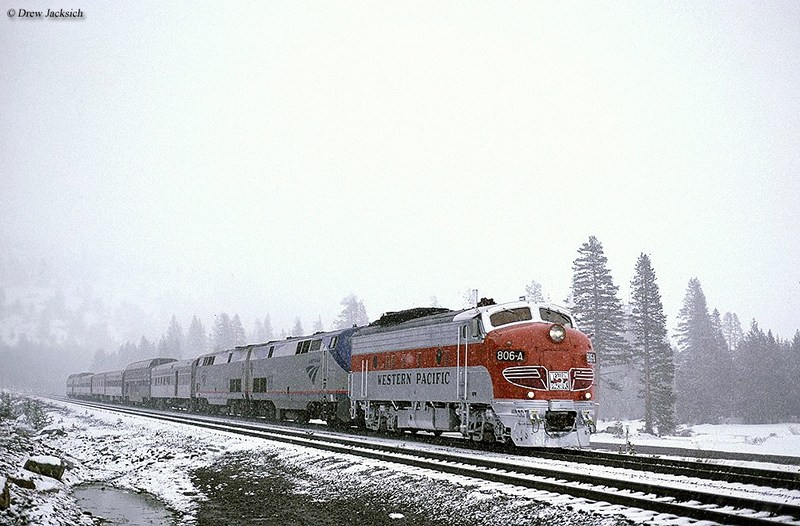 The museum retained its original name for more than twenty years until January 1, 2006 when it was renamed as the Western Pacific Railroad Museum to better reflect its mission in preserving the WP (in addition to the group's sizable collection of equipment). Today, the WPRM offers many activities and events, aside from just its collection of locomotives and freight/passenger cars. For instance, each year they host the "Portola Railroad Days" (usually held in the summer during August), offer excursion trips on the weekends between May and September, help with the "Dunsmuir Railroad Days" (held in June each year), hosts the "Run-A-Locomotive" program (where you can operate a live diesel locomotive for one hour), operates the Santa Train during the Christmas season, and much more. Also, if you are a Boy Scout the WPRM happily provides help in obtaining the Railroad Merit Badge. Something else the museum offers doesn't even cost it a thing; watching the action along Union Pacific's "Feather River Subdivision," which operates right nearby. This rail line still carries numerous freight trains every day and as the former WP main line between Salt Lake City and Sacramento remains fully intact under UP ownership. In essence, it provides a train enthusiasts the ability to "railfan" and watch live trains without ever having to step foot off of the property. Naturally, of course, the main attraction at the museum is still the locomotives and equipment. To date the WPRM contains seventeen original WP diesel locomotives, one steam locomotive, and eighteen other diesel locomotives from various railroads. Several of these locomotives are fully operational and the museum is currently working to fully restore WP 0-6-0 #165 (built by the American Locomotive Company in 1919 for the United Verde Copper Company). 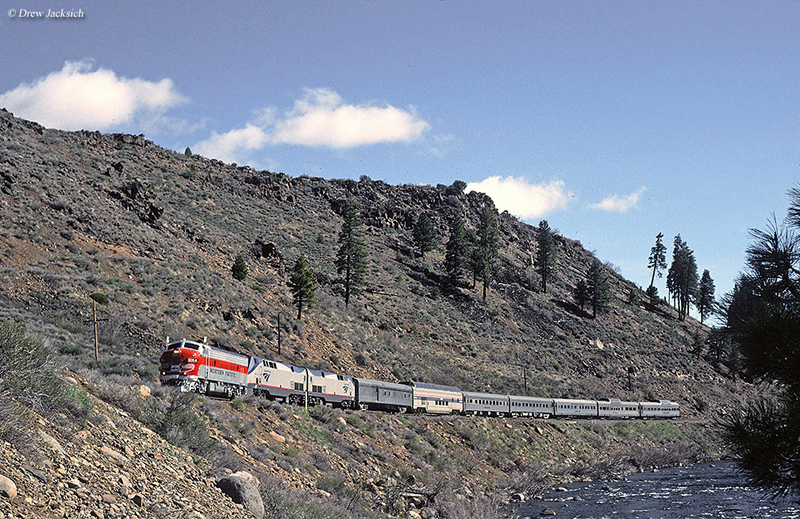 Along with the steamer and locomotives, which are restored and maintained as funds become available they are also working to restore a fleet of original California Zephyr streamlined passenger cars (which includes three domes and a diner). Of the group's diesel fleet only three are not displayed in some form of Western Pacific livery, GP9 #731, GP9 #725, and GP7 #705. They also own a handful of diesels of non-Western Pacific heritage including Quincy Railroad 44-ton #3, Quincy Railroad TR6A #1100, Southern Pacific GP9 #2873, prized Union Pacific DDA40X "Centennial" #6946, and a rare U.S. Army H12-44 #1857. To learn more about the Western Pacific Railroad Museum and visiting their facility please click here to visit their website.